Lens, fourth order. Vaternish Lighthouse. 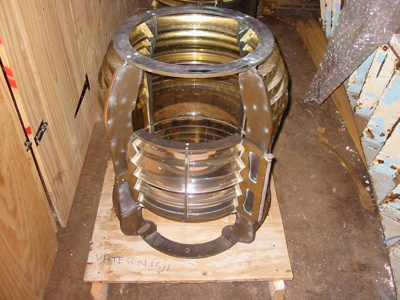 Fourth order lens removed by NLB to Granton store and donated to Lighthouse Museum. Came from Vaternish minor light.